Our target programs for workers' compensation help Iowa employers save money. We offer numerous programs aimed to help employers take full advantage of their workers compensation policies. One such program is Pay as You Go Workers Compensation Coverage. This allows business owners the flexibility to pay premiums monthly or quarterly instead of guessing what the payroll will be for the entire year. This helps businesses in two ways. First it frees up immediate cash-flow to be spent on other business needs other than workers compensation coverage. Second it prevents businesses from over or under paying and being audited throughout the year. Pay as You Go Workers Compensation Coverage is one of the many ways we can help with your Workers Comp Coverage. Give us a call today at 888-611-7467 or if you are ready you can start a quote online. 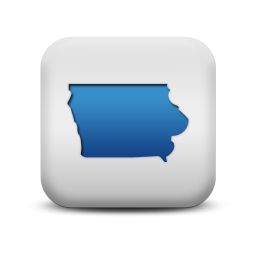 In the state of Iowa, all employers are required to carry workers' compensation insurance. Workers' Compensation Rates for the state of Iowa are almost exactly the national average.This makes it crucially important to shop your coverage with as many carriers as possible. We currently partner with more than 20 insurance carriers licensed and actively quoting policies in the state of Iowa. This allows us to shop your policy to many carriers and make them compete for your coverage. This in turn results in savings for you. Because Agriculture is such a strong industry in Iowa there are many exclusions, rebates and discounts associated with this industry. Not all carriers offer the same discounts. Our agents are trained to help all business owners take full advantage of every program offered in their industry. Because of how many providers we partner with in the state of Iowa, we can negotiate better coverage and heavier discounts. We use more carriers to offer better rates. At Workers Compensation Shop.com we partner with more than 35 nationwide providers. This allows us to negotiate with many carriers instead of a select few, like most agencies. We can get you more complete coverage at rock bottom rates. Give one of our workers compensation Specialists a call today at 888-611-7467 to learn about or workers compensation insurance programs in Iowa.